There is an adorable new store in my town called SARZA. 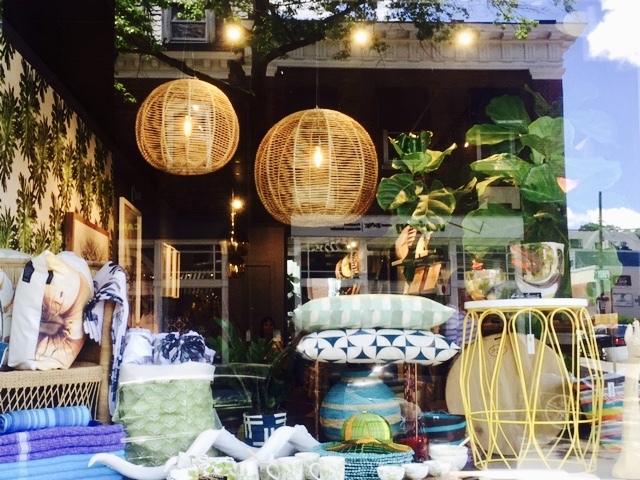 Sarah Briginshaw opened SARZA in April, bringing her passion for interiors to Rye. Sarah has years of experience in home and design. She supplied high end ‘arts de la table’ or homeware to the yacht industry for many years when she lived in Antibes, in the South of France. Her success in the Mediterranean eventually led her to join a friend in South Africa, buying for shops at a series of high end hotels. Surrounded by architects and interior designers in South Africa, her passion for interiors continued. When Sarah and her family moved to Rye, she fell in love with the the charm of Purchase street. A vacant storefront sparked the idea of having her own retail store. SARZA showcases all of Sarah’s design expertise in one place! Come browse all of the beautiful things SARZA has for the home. Gorgeous pieces by small businesses from South Africa. It has become my go to place for gifts and home.